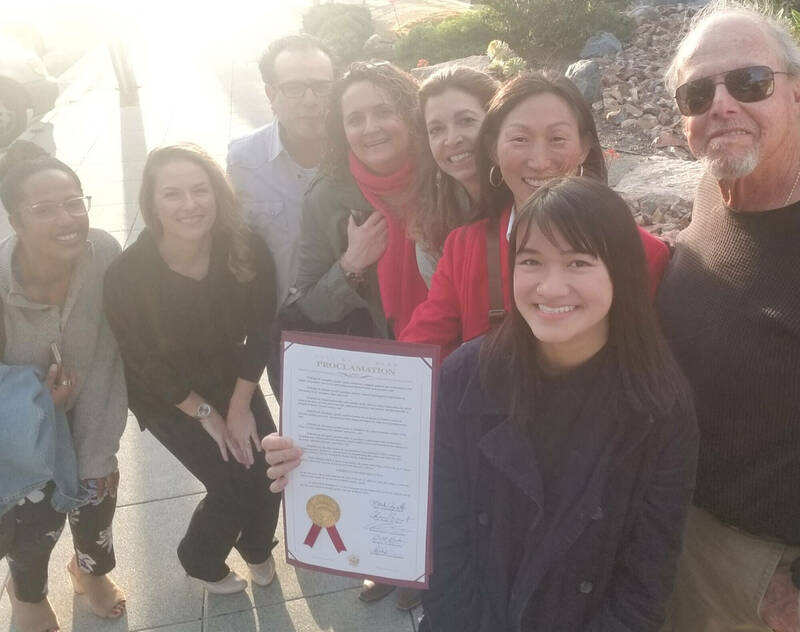 The City of La Mesa proclaimed April 2 to be Workplace Gender Equity Day, in honor of International Women’s Day 2019. La Mesa joined three other San Diego cities – Lemon Grove, San Diego, National City – in recognizing the importance of transforming our workplace cultures to value the success of women and other marginalized genders. Councilmembers Kristine Alessio and Dr. Akilah Weber presented Executive Director Hei-ock Kim with the proclamation. Dr. Kim accepted on behalf of the Kim Center and all who look forward to equitable gender cultures. The proclamation also commended the Kim Center for its work toward fast-tracking workplace gender equity.